Plot synopsis: A group of actors rehearses a radio play about 'nothing'. 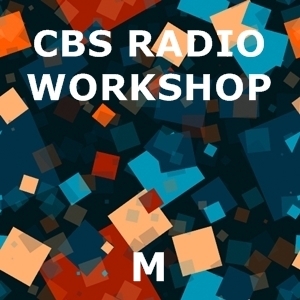 Review: Living up to its reputation for 'experimental' fare, this episode finds the CBS Radio Workshop delving into the domain of philosophical inquiry. Anyone familiar with modern philosophy (the writings of thinkers like Nietzsche, Heidegger and Sartre) may find some of the ideas it explores familiar, in terms of ontological debates about the nature and status of 'being' and 'nothingness'. For sure, none of this is referenced explicitly, but it feels as if the writer - Antony Ellis - must have had at least some knowledge of these philosophical discourses in writing his script. If all this makes the episode sound heavy-going, perhaps even baffling, well, to some extent it is. What, precisely, is the episode about? That's hard to say. It is, seemingly, about nothing being something, and nobodies being somebodies. Or something. Or maybe not. My explanation is probably about as clear as the episode itself, which spends a good part of its thirty-minute running time going around in circles explaining (or not explaining) what it is about. To be fair, it appears that the intention is to be deliberately obscure and confusing, as we are meant to sympathize with the poor narrator of the radio play being staged (played by William Conrad) as he struggles to understand the lines he has been given to read. Yet this still means that the episode can be quite a frustrating listen, as the listener, too, struggles to work out what the play is about or trying to say. Still, if you stick with it, matters do become clearer, and if the ending pushes the episode more into the realm of fantasy than one might have expected at the start, there are some intriguing concepts explored. Plot synopsis: A performance of Norman Dello Joio's Meditations on Ecclesiastes, interspersed with readings by various noted figures. Review: There's no question that the piece of music presented in this episode is powerful and compelling - it won its composer, Norman Dello Joio, the 1957 Pulitzer prize for music. Equally, it is fascinating to hear the voices of some of the narrators involved, including Edward R. Murrow and then-Senator John F. Kennedy. At the same time, I have reservations about the episode. For one, many of the narrated passages are pretty tedious and banal (such as JFK's speech, part of which I have quoted above) adding nothing of great value - and Murrow's at the start, about the meaning of 'fallout' is, frankly, close to plain gibberish. Furthermore, there is an undeniable issue with the fact that the surviving recordings of OTR programmes we listen to today often do not stand up all that well in terms of audio quality, especially when compared to modern ones - the quality is normally fine for drama, but in the case of music like this, it's more problematic. Unfortunately, then, this recording doesn't really do justice to the music performed.